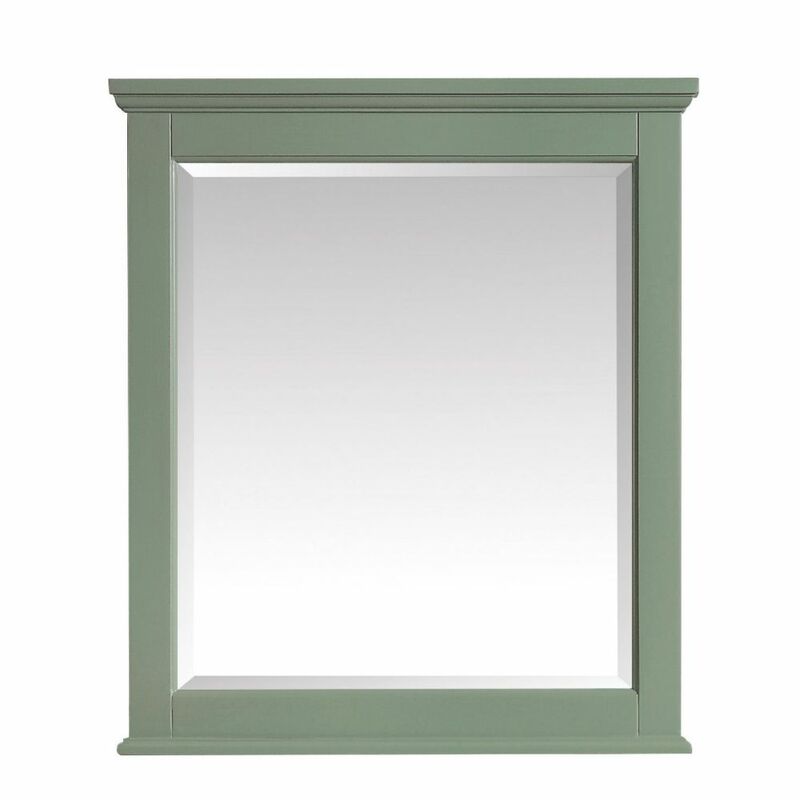 Colton 28 inch Mirror in Basil Green The Colton 28 inch mirror captures attention with its stunning Basil Green finish, solid birch wood frame, and moulding details. It is constructed with top quality and includes a wall cleat for easy hanging. This mirror is a perfect companion of the Colton vanities.